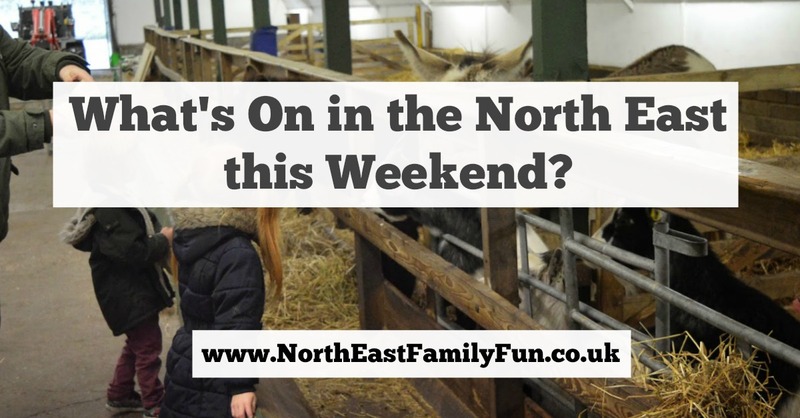 I won't be publishing a 'what's on' guide over the next two weeks as I have it all covered in our EPIC guide to February Half Term here (make sure you bookmark this post to come back to). Back to this weekend though and we're heading to Nethermined. Can't wait! Look out for a video review next Thursday. Join Little Play Cafe for their Batman Valentines Ball including buffet, disco, superhero moves and an apperance from Batman himself. Tickets are limited and must be pre-booked. Join the Discovery Museum for their family screening of Wreck it Ralph from 1:30pm. All tickets are £3. Whitehouse Farm are celebrating their 20th Anniversary this weekend (a huge happy birthday guys) and have a fantastic offer available for the weekend - entry is only £3 per person, for everyone! WOW! Become an archaelogist for the day as Preston Park hosts a special 'dig it' event across the next two weeks. Included with regular museum admission (£5 for a family annual pass). The Big, Big Block Build is spread across 4 sessions on Sunday. The event is a unique chance to rebuild Newcastle in LEGO. Maybe you'll make some changes to our city and perhaps build a Tyne Bridge that glows in the dark? Each family will be allocated one LEGO plot and sessions last for 1 hour. Tickets are £3 per child and £1 per accompanying adult.